(CBS/AP) BEIRUT - Syrian security forces routinely torture people detained during the country's year-old uprising against authoritarian President Bashar Assad, Amnesty International said in a report released Wednesday. The London-based group said detainees are beaten with sticks, cords and rifle butts and sometimes suspended inside tires for further beatings. Others are sexually assaulted or killed. These detainees' accounts back claims of brutal beatings, electrocutions and sexual assault. Earlier this month, video obtained by CBS News showed detainees who had allegedly been tortured by doctors and soldiers at a military hospital in Homs, the central Syrian city which was pounded for weeks by government forces before they captured rebel-held areas by force. Since protesters first took to the streets in Syria one year ago to call for political reform, security forces have cracked down hard, deploying snipers, troops and pro-government thugs to quash all signs of dissent. As the protest have spread and some in the opposition have taken up arms to protect themselves and attack government troops, Syria's uprising has evolved into one of the bloodiest of the Arab Spring. The U.N. says more than 7,500 have been killed, most of them peaceful demonstrators. Amnesty based its report on interviews in mid-February with dozens of Syrians who had fled to neighboring Jordan. Twenty-five said they had been tortured or ill-treated, the group said. 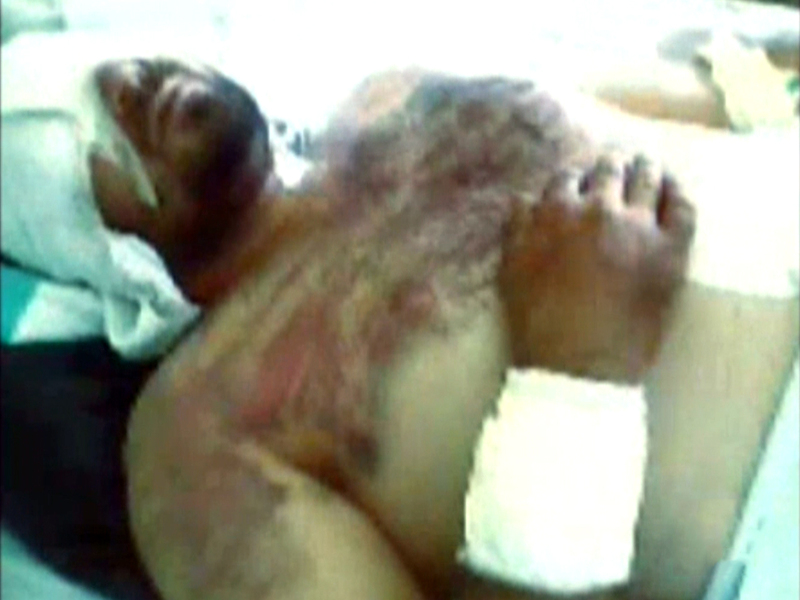 Torture appears to be part of a strategy to punish and intimidate dissidents, the group said. It calls on the International Criminal Court in the Hague to investigate charges of crimes against humanity against Syrian officials. "Torture and other ill-treatment in Syria form part of a widespread and systematic attack against the civilian population, carried out in an organized manner and as part of state policy and therefore amount to crimes against humanity," it said. The group said it has documented 276 cases of death in detention since the uprising's start. But given the large number of people who have been detained, it says the number of those killed is likely much higher. The report also accuses armed opposition groups of kidnapping and killing people believed to be associated with the regime  actions it condemns. Syrian officials were not immediately available for comment. The Syrian government blames the uprising on armed extremists acting out a foreign conspiracy.